Mark Frowde was a key founding member of Weymouth FC in 1890, and also a secretary of the FA in England during his lifetime – he was also the treasurer of the Dorset FA between 1896 and 1920,and helped to officiate the 1907 FA Cup final as a linesman. In 1922 the Dorset FA presented Frowde with a cup to mark his service to the sport in the local area.According to reports from the time, he soon returned the trophy, along with a cash prize, to help start a knock-out cup competition for boys in the Weymouth area. The cup is now played at an adult level. 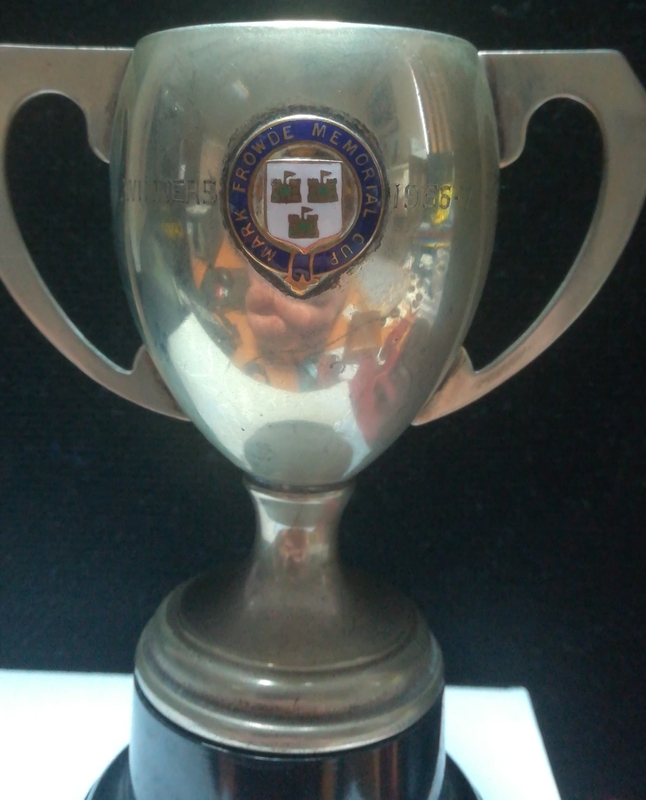 This small winners cup came to us as part of the Willie Fagan collection. After Fagan left Liverpool FC, he spent a brief spell in Belfast before returning to England as player-manager of Weymouth FC, where he remained until 1955.